The Evolution of Zoos goes back as far 3,500 years and has dramatically changed in the last 30 years. This is a topic suggestion on The Evolution of Zoos from Paper Masters. Use this topic or order a custom research paper, written exactly how you need it to be. The evolution of the zoo in the United States takes us back some 3,500 years to ancient Egypt circa 1490 BC, when Queen Hatshepsut returned from her visit to the “Land of Punt” with a collection of animals that were subsequently put on display to impress her subjects. Over the course of most of the following 3,480 years or so, the nature of the zoo had not changed much, yet the last thirty years have seen an unprecedented transformation in the very character and nature of zoological parks around the world. 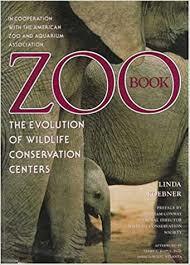 “Global Conservation,” which reviews how progressive zoos have become over only the last few years. In your research paper, you should conclude with brief case studies discussing the growth of the Central Park Zoo in New York, and the biggest of them all, the San Diego Zoo. During the first phase of zoo evolution, zoos were mostly places where strange animals were put on display in cages, with little regard to their well-being, comfort or health. Following the early Egyptian experiment, history tells us that around 1000 BC the Emperor Wen Wang founded “Ling Yu” – the Garden of Intelligence – a 1,500-acre zoological park in China. Over the next millennium, many zoos were established throughout North Africa, India and China by rulers and dignitaries as a way of exhibiting one’s wealth and power. The Greeks were the first to establish public zoos with the intent of displaying animals for recreation and study. And, while during the dark ages zoos had mostly dies off as a phenomena, they resurfaced beginning in the 15th century as exploration of the New World again uncovered the kind of curiosities people enjoyed looking at. The traditional form of the modern zoo dates back to the London Zoological Society, opened in Regents Park in London in 1828 by Sir Stamford Raffles, the founder of Singapore. New zoos opened in rapid succession across Europe and North America, first as appendages to city parks, later evolving to stand-alone attractions as their commercial potential was realized. A migration from the then-dominant cage-only mentality followed in the footsteps of the experiment of Carl Hagenbeck in Hamburg; Mr. Hagenbeck opened the Stellingen zoo in 1907, and was the first to create a zoo without bars, using moats to separate people from animals. Primate Social Behavior - Primate Social Behavior Research Papers discuss the studies by scientists that get a better grasp on human behavior and evolution as well. Survey of Living Primates - Survey of Living Primates Research Papers discuss the taxonomic order of Primates. Darwin and Natural Descent - Darwin and Natural Descent Research Papers examine Charles Darwin and his evolutionary psychology and theory of natural descent. Evolution Versus Creation - Evolution verses Creation research papers examine the arguments for Creationism and Evolution. Darwin's The Descent of Man - The Evolution of Zoos Research Paper explores the zoos evolution from that 1970's through the late 20th century. Naturalistic Intelligence - Individuals gifted in naturalistic intelligence are drawn to diverse careers such as in botany, zoology, or even the culinary arts. Marine Biology - Marine Biology research papers discuss the study of ocean life. Most of the Earth, about 71 percent, is covered with water, and is home to a significant amount of life. Natural History - Pliny the Elder's Natural History, written between AD 77 and 79, includes such diverse topics as astronomy, mathematics, anthropology, and zoology. Endangered Animals Research Papers delve into species that are threatened or endangered specifically manatee. Environmental Protection Agency - Environmental Protection Agency research papers examine the agency of the United States federal government that is charged with protecting human health and the environment. Mating Behaviors of Mallard Ducks - Mating Behavior of Mallard Ducks research papers reviews several observations of mallard ducks mating behavior, the way they nest, and court. Overpopulation - Overpopulation research papers look into the occurrence of excess in a species that causes overburdening to its environment. Northern Spotted Owl Research Papers discuss the characteristics of this endangered animal, and ways the government can help save endangered animals. Paper Masters writes custom research papers on The Evolution of Zoos and explores the zoos evolution from that 1970's through the late 20th century.